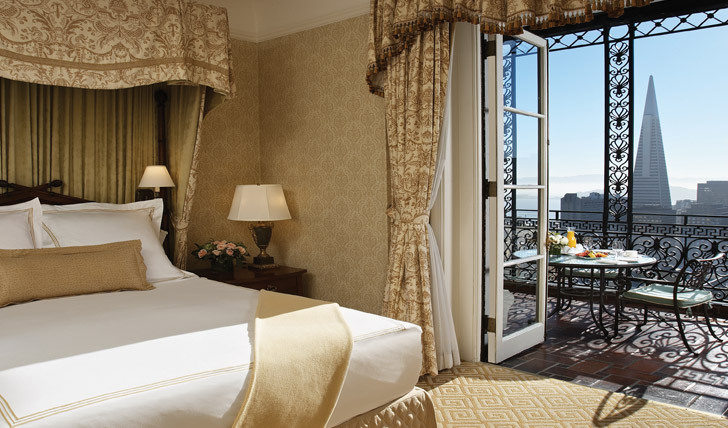 Overlooking the dramatic city skyline and the sparkling waters of San Francisco Bay, this heritage hotel will truly take your breath away. San Francisco is an energetic cultural hub with an amazing arts scene, and Fairmont sits magnificently amidst it all. Just a short cable car ride from the buzz of downtown, the financial districts, Fisherman’s Wharf and the world famous boutiques of Union Square, it also offers incredible views over the Golden Gate Bridge and Alcatraz. 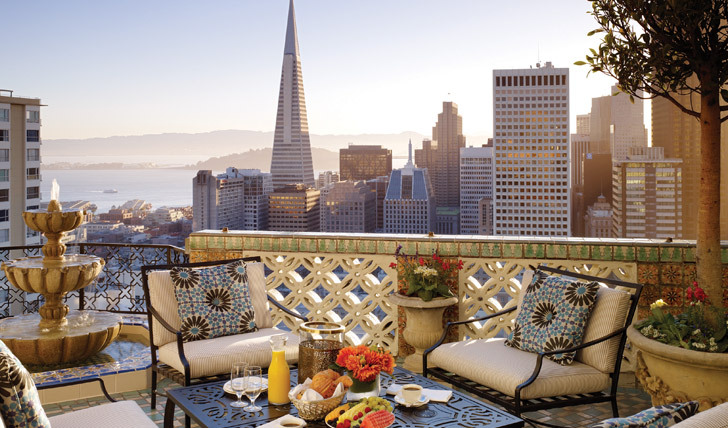 Sitting resplendent atop Nob Hill, your stay at Fairmont San Francisco will be filled with beautiful views across the iconic sights of this eclectic city and the cool waters of the bay beyond. After a spectacular $21 million restoration, each guest room has been individually designed, fusing classical designs with vibrant, modern flourishes that embody the spirit of the city. For something a little different, try the Tonga Room and Hurricane Bar. Decadent tropical decor sets the scene whilst your senses are tantalised not only by the exquisite Asian cuisine but by the theatrical effects of artificial rainstorms, thunder and lightning. We also think the honeybee hive atop the rooftop terrace is a quirk only Fairmont would have.